BREAKING NEWS: Celebrity Eclipse will join Celebrity Solstice for Australian summer season 2020/21 becoming the newest ever ship to homeport in Melbourne, Victoria. She is scheduled to arrive fresh from a multi-million dollar modernisation on December 2020 for its inaugural season down under. Take a sampler cruise, discover the beauty of Australia’s eastern coastline, the wonder of New Zealand or the magical islands of the South Pacific and French Polynesia. 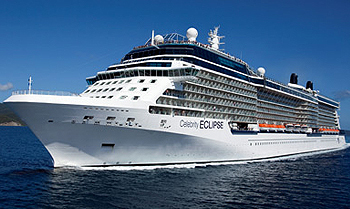 Celebrity Eclipse spends her days exploring the varying cultures and landscapes of North and South America. During the northern hemisphere summer months, Celebrity Eclipse cruises the rugged landscape of Alaska. 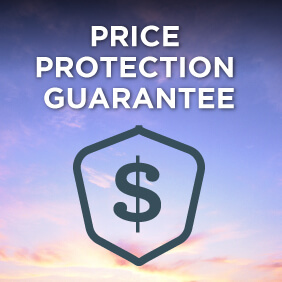 Cruising from Vancouver on predominantly 7 night round trip itineraries, these itineraries visit the Inside Passage and Hubbard Glacier among other iconic Alaskan ports. From December to March of each year, Celebrity Eclipse cruises South America and it’s many varying landscapes and cultures. Departing from either Buenos Aires or San Antonio (for Santiago) these exceptional South America itineraries give you the opportunity to visit Argentina, Chile, Brazil and even Antarctica. If you’re looking for a little beach relaxation why not have a look a Celebrity Eclipse‘s itineraries to the Hawaiian Islands. 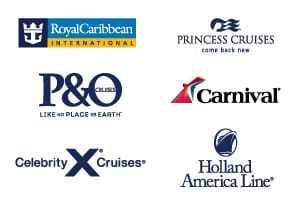 View all Celebrity Eclipse cruises, view a selection of Celebrity cruise deals, or view more options for Celebrity cruises. Luxurious and upscale on every deck and at every turn, Celebrity Eclipse sets the standard for modern luxury vacations. Sail in style surrounded by contemporary decor. Take your taste buds on vacation with diverse dining options. Enjoy endless entertainment options from sensational shows to some tranquil time in the library. Whatever your travel style, you’ll find your home on board. A luxurious, new Michael Kors boutique joins an already superb assortment of shops onboard Celebrity Eclipse. Here you’ll find a spectacular assortment of handbags, wallets, watches, glasses, jewelry and more. And, did we mention it’s all tax and duty-free? Relax and rejuvenate in our serene spa at sea. Experience the unique services of Canyon Ranch in a breathtaking setting-aboard Celebrity’s modern luxury ships. Enhance your vacation with a complete wellness and lifestyle program that increases resilience, restores serenity, and helps you feel rejuvenated. There’s absolutely nothing like it. A freshly manicured lawn on the highest deck of the ship. This is The Lawn Club. Enjoy casual outdoor activities in a decidedly Country Club atmosphere, and let the grass between your toes take you places no cruise has gone before. Classic French dishes – with a contemporary twist – serve as the inspiration for Murano’s menu. Enjoy nouveau cuisine with old-world charm, as we prepare some of our signature dishes tableside while you watch. Wildly popular from the day it appeared, Sushi on Five satisfies your craving for locally sourced, authentically prepared sushi and other Japanese specialties from a menu crafted by expert restaurateur and sushi chef, Yoshikazu “Yoshi” Okada. Exclusive and cutting edge, the globally inspired menus at Luminae are not available in any other restaurant on board. And, you’ll see each one only oncebecause every day features a fresh, new menu. This exclusive 24-hour lounge features a large-screen TV, reading areas stocked with magazines, newspapers, and books, plus a continental breakfast. Complimentary pre-dinner drinks and tapas are served 5:00 PM – 8:00 PM daily, and the dedicated concierge can help arrange your specialty dining, shore excursions, and even handle inquiries about various ports of call. Ensemble Lounge is the ideal setting for an aperitif en route to an extraordinary dining experience, or a digestif afterward. Live entertainment from world-class musicians and a “dressed for dinner” crowd make this elegant space a fantastic start or end to your evening. Our retro-chic nightclub for the late-night crowd, Quasar features DJs spinning the best of today’s dance and club favorites. Make the most of your vacation time and continue your health, fitness and wellness routine while on board. You’re invited to indulge your mind, body and spirit in the state-of-the-art fitness facilities with soaring floor-to-ceiling windows. Experience the profound pleasures of the spectacular spa setting with luxurious services and enlightening presentations designed to restore your serenity and leave you feeling fantastic. Bring your workout routine along for your modern luxury cruise. Reflection’s fitness facilities feature a jogging track, sport court, and a full suite of state-of-the-art cardio, core, and weight training equipment for every fitness level. Get shipshape and enjoy beautiful ocean panoramas through the fitness center’s floor-to-ceiling windows.